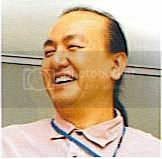 Takashi Kunihiro: Joined the company in 1984. Has joined the staff since "2010", in which original "Transformers" toys started. Along with Transformers, he was responsible for the main characters of Brave series figures from "FighBird" to "GaoGaiGar". His most famous creations include; Hot Rodimus, Six Shot, Star Saber, Victory Leo, Lio Kaiser, Magmatron, Tako Tank, Gigatron, "Super Link" Convoy, Primus, Movie Optimus Prime and Brawl. 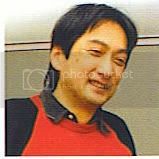 Takio Ejima: Joined the company in 1989. His first product was Crazybird from "Flower Rock" series. After that, he was a staff member of Overseas Transformers Product team in the Boys Enterprise department, and single-handedly created the all European Transformers after the American market was pulled until Beast Wars. After Beast Was Metals was concluded (1999) he moved to Girls Toy Department. He came back to Transformers in "Super Link" (2004). 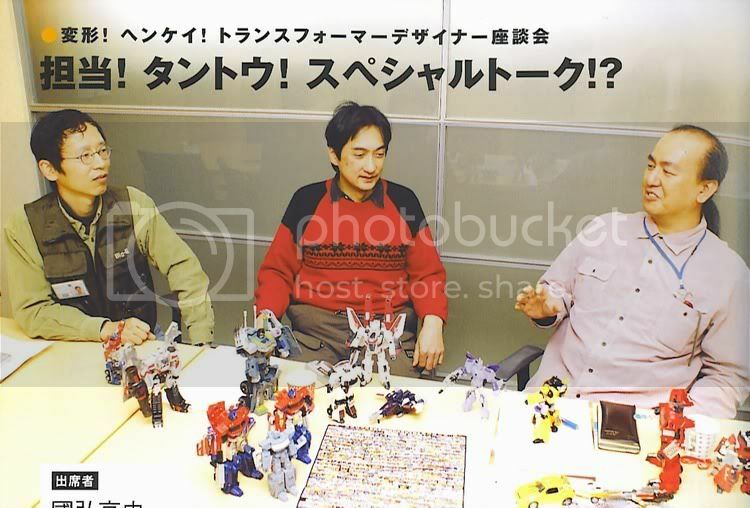 According to Mr. Kunihiro, (Mr. Ejima is) "The man who created the most transforming robot toys in the world". 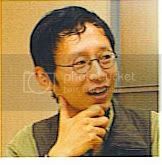 Hisashi Yuki: Joined the company in 1992. Worked on the series such as "Gridman" (2003), "J-Decker"~"GaoGaiGar", and started working on Transformers since Beast Wars II (1998). He worked on Choro-Q for a while then came back to Transformers since the later releases of Binaltechs. His most famous creations include; Lio Convoy, Big Convoy and Fire Convoy. "It started with the Movie"
- Since Hasbro's "Classics" series is the base of Henkei, will you tell us how the series was developed? Ejima: It all began with the movie in 2007. At first the series was to be called "Prequel". While the production of the movie had been announced, we couldn't reveal the (Transformers) designs, and during that time we started developing products to show how the present (Movie) Convoy (Optimus Prime) had evolved in appearance. That's why it (Classics Optimus prime figure) still has the same trailer truck look even though it adapted an aeroform. Ejima: Say, there is someone who used to play with a toy called Transformers, and he hears of the new movie and visits the toy aisle. There he finds a toy which takes him back to "Then". - How many people are there in the Henkei design team? Also, are there certain set tasks to each designer? Yuki: There are 6 staff members who design overseas products. They also design the Movie and Animated figures and are working on a very hard schedule. They take on a new assignment as they finish their previous one. There's no "He only does Cybertron" kind of responsibilities. Important products such as Movie Optimus Prime normally go to veteran designers. Ejima: Designers occasionally request their next assignment like "I call dibs on Starscream!" Yuki: That does happen. Then he'd be like "I'll pass this one to you instead". To tell you the truth, when "Classics" started, there was no plan of domestic release. It had been decided when the series started again as "Universe". Since then domestic product staff members joined the team as overseas product staff got more workload due to the movie. Ejima: "Classics", "Animated" and "The Movie" have their unique design requirements, but when you line them up side by side, they must all look to be of the same quality. That is the hard part. - Please tell us about the development of Convoy figure. Ejima: At first, we planned on a deluxe sized Convoy toy. But we couldn't achieve a satisfying quality within the budget of a deluxe. Ejima: In the end, Convoy sized up to "Voyager". After all we didn't want to use ball joints for him, but sturdier joints. - It has been a long time since we last saw a Megatron who transforms into a gun. Kunihiro: He is originally a gun Transformer character, but he had to become a tank due to several regulations. His motif this time partly owe to a request from Hasbro. They were also very keen on re-creating G1 style. We could make it happen by making his gun mode look like American water pistol. "Classics" Megatron's colour scheme is because of that background. - "Henkei" version is Silver. Yuki: Originally I was in charge of ("Classics") domestic release and I chose the Henkei figure colours. After all we were over one year behind overseas market, and were aware of the fact that (Japanese) people who wanted those figures had purchased them already. To make them buy our products, we added extra paint applications and chrome while being conscious of the cost. We knew that we'd be able to release Megatron with old-fashioned colour scheme, so frankly I knew he'd sell. "What Henkei series aimed for"
- Please tell us which of you were responsible of which figure. - What was the aim of this series? Kunihiro: Basically, we tried to achieve what couldn't be done then (G1 era) and make the best of the good (of the G1 figures). Yuki: This series' uniqueness is that "There is no gimmick". Ejima: In fact, by eliminating gimmicks we were able to raise the product standard. For example, even a simple gimmick such as Force Chips in "Galaxy Force" restricted designs and structures. So with this series, we concentrated on only transformation mechanism and that clear direction produced a good result. - To think of it, Transformers have had various gimmicks for a long time. Ejima: This time we presented the beauty of the figures rather than gimmicks. Hasbro said to us that those were fantastic. We answered, "It's because they are without gimmicks". "To provide the great impression of the latest"
- I assume creating G1 homages was a challenging and fun task in a way? Yuki: When you look at a product which was the best and the latest 20 years ago, you can't help but think, "Is this the best they could?". I guess this series will be looked at in the same way in some decades' time. - There are some figures with drastically different transformation (from the originals), such as Grimlock and Galvatron. Yuki: As for Grimlock, since the perceived image of tyrannosaurus has been changed, I refined the design without much regard to the original. Galvatron adapted a modern tank form due to a request from Hasbro. The original SF style gun worked only because it came with the sound and light gimmicks. Actually I started with Galvatron as a tank and walker-tank triple-changer, but his release overlapped with "Animated" Laserwave, which is also a triple-changer, so we settled with the way Galvatron is now. Because the change was made halfway through the designing process, he still has the remains of the intended walker transformation mechanism. - Lambor and Sunstreaker transformations are just genius. - How come Powerglide became so big? Yuki: Since "Universe" line, we did not simply stick to the homages, but also added some different ideas. We dared to omit the combiner mechanism from Silverbolt and Onslaught, and made minibot Powerglide huge. Powerglide is meant to be a ground attack bomber to begin with, so I think he should be big. Ejima: The heart on his chest is of course based on G1 episode 37 "The Girl Who Loved Powerglide" (Note; Regarding the Japanese episode numbers, they were shown in a different order in Japan. The Ultimate Doom, a three parter very early in the series in the US, is placed around about episode 60 in Japan. The Girl who Loved Powerglide was moved to an earlier point in the series just as those episodes came much later - Sol Fury). I intended to put a heart there even before I designed the toy. I wanted some characteristics from the cartoon, too. Yuki: Prowl can achieve his anime proportion by attaching his shoulder missile launcher on the back. As for Cyclonus, he can carry his Targetmaster not only in his hand but also on his arm as seen in "The Headmasters". Such minor gimmicks could be done without any extra cost, and we thought that the fans who followed the cartoons back then would enjoy them. Yuki: The original toys can't be generally purchased, but it is possible to watch the anime. We do hope these (Henkei) toys will be played with while DVDs (of the old cartoon) are watched. "The Past and The Present"
- Did any of you design both the original and Henkei? Yuki: Why didn't you at least loot at them side by side? Ejima: I should have. The original Cheetas' face is not CG cartoon accurate, so I only referred to the show. I was going for the creation of the show accurate Cheetas. - Do you develop the products now in a different way from the past? Ejima: The safety standard now is stricter than before. But that is how it should be. I remember being sad when I was little with a broken toy. But recent Transformers are harder to break partly thanks to the articulation. Actually, I had an idea of Transformers articulation even before "G2". They required lots of parts because of the transformation, and I thought I could use them for the (joint) movement. So I presented the idea to Hasbro, and we decided to go ahead with it from Laser Rods. By making the joints articulate, it became easier to pass the safety regulation. For example, there's a rule that states, "The toy is not to be broken when being pulled with 20 pounds force", and we call it "The Dreaded Crotch Tear" because the legs are pulled apart with the said force. If the legs are simply connected in upside-down U shape, they are broken off easily. That is why many older toys have fused legs, to pass the test. But if they are meant to open up, there's no problem, since they don't break. Yuki: Ejima is the one who introduced ball-joints to Transformers. "G2" has become the series which opened the new market of "Robot toys with articulations". - Is there any trouble characteristic of this era? Ejima: The high cost of oil really hurt us. The technology keeps on developing, but we can't make the best of it because of the high cost. Yuki: We still need to minutely calculate "the parts number", "the product weight" and such to adhere to the set budget while working. Ejima: To be honest, I do feel "We could have created a better product for this price" sometimes. - Any item you want to remake in Henkei line? Yuki: With the technology now, we can probably make that "old man face" good-looking. Ejima: Not a particular character, but I would like to do a Jet Transformer. Among the ones I designed, the one I am most proud of is "G2" Smokescreen. I like jet planes, but I hardly have occasion (to design one). Ejima: No, no, it's not that I am trying to be lazy! Ejima: About 10 years ago, I also had an idea of a product which ejects from Soundwave's chest then auto-transform. But I didn't know what to do with Soundwave himself. It already wasn't a time of cassette players, and we couldn't release something children couldn't relate to. - Lastly, please send your messages to the fans. Ejima: We continue on inventing more fun gimmicks, so please look forward to them. Our future task is to include the gimmicks without dropping the product quality. Also, what I am aiming for is not "intricate transformation", but "interesting transformation". In reality, an over-intricate transformation is a put off and children wouldn't want to transform the toy again. It is a shame if (a Transformer) is never transformed back to the vehicle. So, while keeping the transformation simple, I want to raise the quality. Not something with very difficult transformation, but one people enjoy transforming again and again. We will be revolutionary, please look forward to it. Yuki: We will create products which will amaze you. After all, Transformers are "More Than Meets the Eye", toys that are more than they seem to be. You need to actually handle them to know them. Please take them out of the box, and play. Convoy Line Up: The left is domestic Henkei Convoy, and the right is overseas "Classics" version. The colour scheme was changed to match the cartoon for the domestic release, with additional tampo prints and chrome. 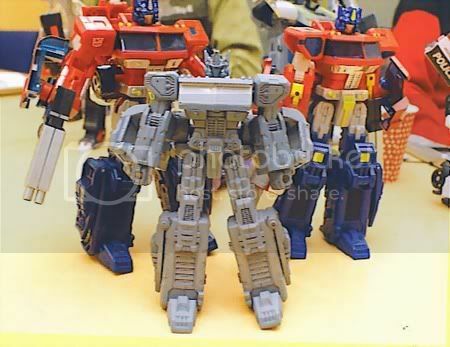 The one in the centre is a prototype of deluxe size Convoy. Beside the size difference, the knee parts are fixed on. Wow, interesting read, thanks for the translation! Awesome. Fascinating interviews and thanks so much to whomever took the time to translate. I know Japanese/English translations are a sonofabitch. I wish their future plans included Blitzwing and a proper G1 homage Arcee. I'm not down with Star Saber or a Rodimus Prime. These guys have got to be geniuses to develop those designs, though. They probably sleep overnight at Takara. I bet their families don't remember what they look like! Also, I really like the point about actually playing with the toys and transforming them. I try to do that sometimes, with my collection. So that they don't gather dust, and I don't forget how to transform them. Thanks for posting this - interesting read. I hope he gets to design plenty more - those are basically my favourite designs of the line. Amazing read. I find myself filled with a lot of respect for the designers, having heard which toys (both TF and Braves) they've worked on. Very cool and informative. I like these "Behind the scenes" sort of interviews. I really would like to know who is in charge of deciding Henkei chrome apps, and what they're smoking, however. They seriously dropped the ball in a major way when it comes to seemingly random chrome apps... Why give Galvatron a Chrome Turret when a gold chrome barrel would have been so much better? Or Chroming the back of Inferno's arms, when his grill would have been a much better choice for a G1 Homage?.... I just want to know what the motivation behind these confusing apps is...if there is any. And to all you MISB'ers? Actually I started with Galvatron as a tank and walker-tank triple-changer, but his release overlapped with "Animated" Laserwave, which is also a triple-changer, so we settled with the way Galvatron is now. I love this quote: Please take them out of the box, and play. This was a fantastic interview! I've always had a lot of respect for the designers, and even more so now! It was really great to see their sense of humor, as well as their own love for the products they work on. It's really amazing how much work and effort goes into the Transformers, really, trying to design a toy where everything shifts and moves, and then, to top it all, trying to stay inside a set amount of parameters for each individual aspect? It's enough to boggle the mind! Thank you for the translation of this interview! It was great! Takashi Kunihiro: Liokaiser, Tako tank, movie Prime and the entire Euro line = awesome. Wow, that's impressive, I agree with just about everything they said. It's so good to know that the people designing the toys are just like us and want the same things from them that we do. It also confirms our cynicisms that all the mistakes are made by the bigwigs at Hasbro. I can't believe I didn't like Henkei, after this I really appreciate it and I want some of their figures too because man am I tired of gimmicks! thanks for this, Sol and Syd. great info. Thanks for translating this for everyone! Very interesting read. I found the bit about why older toys so often had fused legs interesting. I had always just assumed either the toy's transformation scheme wouldn't allow leg articulation or its price point just wouldn't allow for adding it. I never would have guessed it was for safety reasons. SydneyY thank you very much for taking the time and applying your skill to translate this. And thanks to Sol Fury for your part in helping to make this happen. It feels good to hear what is going on inside the mind of the creators, you can feel the love these guys have jumping off the page. I wish those books were printed in English as well, I just feel silly buying expensive picture books especially when little things like this are what make it special. Hasbro: "These designs are fantastic!" TT: "That's because they are without gimmick"
Wow, this one article tells us more than Hasbro's Q&A ever has. Thanks. So the same guy that designed Classics Prime also did...Meth Kitty? Wow.